Housed in protective packaging. Orders of 10 or more coins come in tubes. Orders of 200 coins or more are packaged in Monster Boxes. Reverse: Designed by Jody Clark, the design features a magnificent yale, with its horns as a focal point. 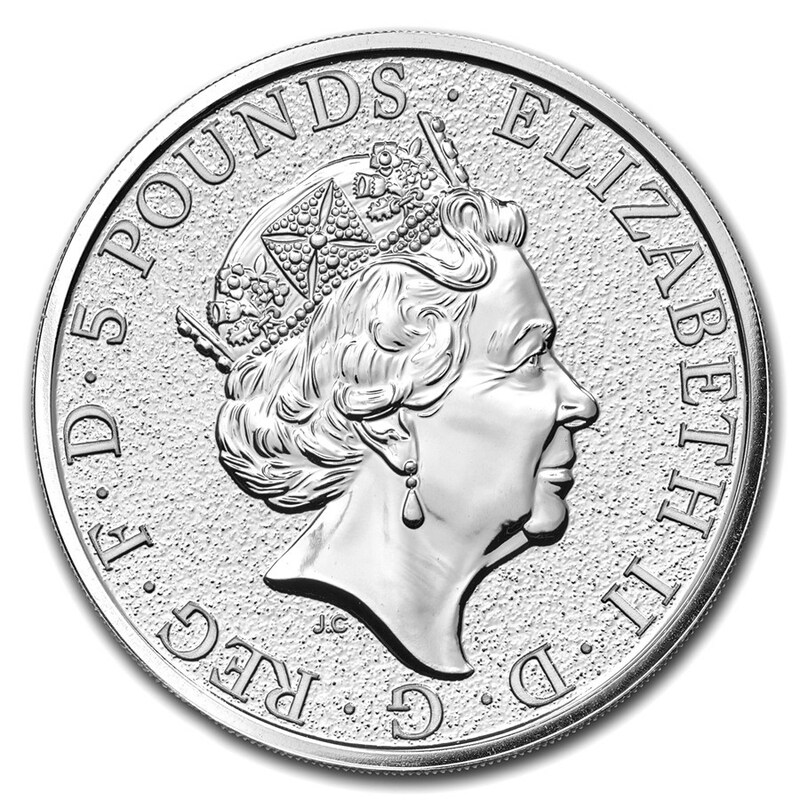 The 2019 Queen’s Beasts Silver Yale coin is the seventh 2 oz Silver British Bullion coin from the Royal Mint. 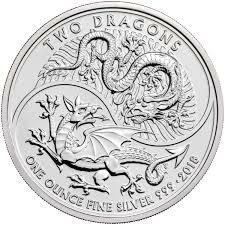 Add the seventh coin of this popular 10-coin series to your cart today! When Her Majesty The Queen was crowned in 1953, the entrance to Westminster Abbey was guarded by ten fantastical creatures. The Queen’s Beasts were six-foot tall statues that symbolized the heritage and history Queen Elizabeth II inherited that day. These royal protectors have been brought to life in a collection named in their honor, which began in the year The Queen became the world’s longest reigning living monarch. The yale is a mythical beast, described to be the size of a hippopotamus, with the tail of an elephant and jaws of a boar. It descends to The Queen through Henry VII, who inherited it from his mother, Lady Margaret Beaufort. Her position as a matriarch brought the yale prestige and a symbolic meaning. Today, the yale can be seen guarding prominent buildings of education such as Yale University, Christ’s College and St. John’s College in Cambridge.